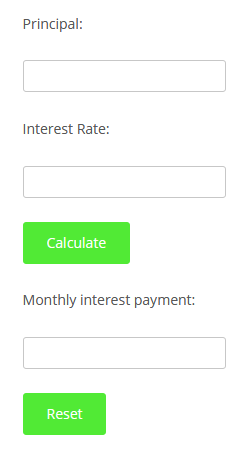 This PlugIn will Calculate the monthly interest of a loan. 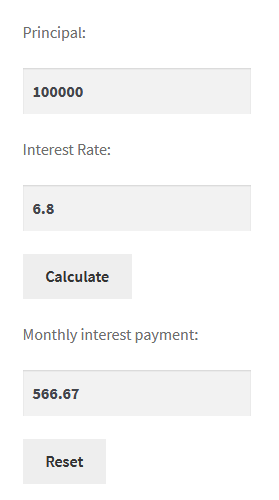 Are your clients taking out loan that only requires monthly interest payments? The result will show monthly interest payment. This PlugIn is Ideal for Bank or Financial organizations. Install the PlugIn and let your clients calculate just in website without leaving it. 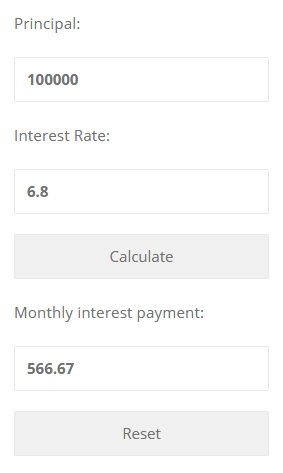 See the “Live Preview”, and Enter the principal amount of the loan and its interest rate. 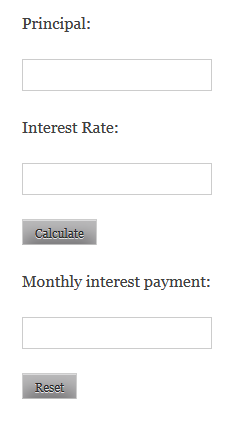 Now click on “Calculate” to see what your interest-only payment will be.